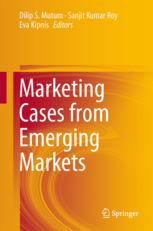 A new book titled "Marketing in the Cyber Era: Strategies and Emerging Trends" has just come out. 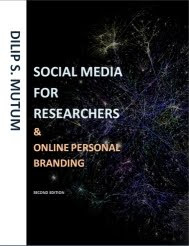 The book is published by IGI GlobalQuite excited as it has a chapter which I co-authored with Dr. Ezlika Ghazali, titled 'Personal blog marketing". I have extracted this chapter from my PhD thesis and expanded on some of the key issues. This chapter looks at the commercialization of personal blogs and also defines some of the key terms that have emerged as a result of this phenomenon, including “sponsored posts.” Despite their importance, the authors feel that not enough attention has been paid by academics to the development of marketing in the blogosphere. 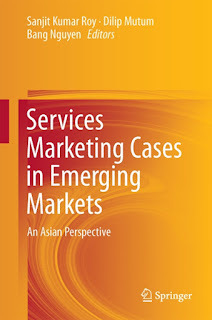 The chapter also examines the concerns that marketing communications on blogs may be contributing to the shadow economy around the world. The uniqueness of this new form of advertising medium is emphasized, and it is hoped that this chapter will also add to the understanding of why the study of blogs and their commercialization is absolutely essential. Last evening I was shopping at the Lidl store in Foleshill, Coventry and realised that I had been shopping there quite frequently in the past few months. This made me wonder about the stores I normally shop at and whether I am actually loyal to a store. The answer seems to be a big "No!". It was quite different a couple of years back - I shopped almost exclusively at Tesco. This was probably due to the fact that there was a Tesco Metro very near to my house and maybe partly due to the fact that I was getting Tesco loyalty card points every time I shopped. I did shop at Sainsburys and Morrisons sometimes but hardly ever shopped at Asda. This changed when an Asda opened very near to the Tesco Metro near my house. I started shopping there quite often and maybe even more so than at the Tesco. At first this was due to convenience as finding parking near the Tesco store can be quite hard while the Asda store has their own dedicated parking space. The distance of the store may have something to do with my choice of store but I hardly ever visit the Aldi store which is nearer than Lidl or Tesco Extra. Moreover, I do not think that this was the only reason, as I hardly ever visited the Netto store which was at the same location before Adsa took over. Netto was simply depressing. Choice of products, store layout and overall ambiance of the store does matter. I think it has got a lot to do with pricing as well - I found out that a lot of the products sold at Asda are cheaper than at Tesco and I am not talking about the store brands but other products they sell. For example, my favourite white bread - Warburtons Medium Sliced White Bread, costs only £1 at Asda while it is £1.45 in Tesco. The staff are really helpful as well. This brings me to Lidl. I first explored it when it first opened their store in Foleshill and there was nothing special - just felt like another Aldi which has a store in our area which I hardly visit as well. The store layout and aesthetics is nothing to shout about. However, I noticed that they had a small selection of organic vegetables and fruits. As we consume a lot of organic food this was the initial attraction. I normally buy meat, chicken (Halal) and rice from one of the local stores along Foleshill road (cheaper than in Tesco). Lidl has also started carrying a number of other products including clothing and tools among other products. What really surprised me was that the quality of these products (almost all of them are made in Germany) are quite good yet very affordable. It is no wonder that the German stores are really doing well. Read: German Aldi and Lidl crush British 'big four' supermarkets at the checkouts over Christmas. The big Tesco Extra store at the Arena park has still got the best variety/ range of choices in the whole of Coventry and has probably the best selection of organic food among all the stores. They have undergone a major oerhaul of the entire store layout and I am slowly getting used to it. I realise I still do a major proportion of my monthly shopping there. However, it is not the only store I go to now and even though loyalty cards and store aesthetics do matter, I realise that convenience and price does play an important role in my shopping habits. Would love to hear your opinion. What is your favourite store and why do you shop there? Tang, C. S., Bell, D. R., & Ho, T. H. (2001). Store choice and shopping behavior: how price format works. California Management Review, 43(2), 56-74. Fotheringham, A. S. (1988). Note—Consumer Store Choice and Choice Set Definition. Marketing Science, 7(3), 299-310. 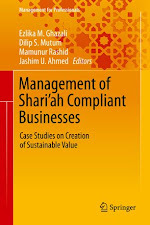 Walsh, G., Shiu, E., Hassan, L. M., Michaelidou, N., & Beatty, S. E. (2011). Emotions, store-environmental cues, store-choice criteria, and marketing outcomes. 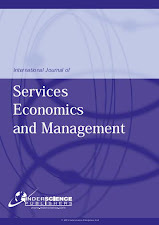 Journal of Business Research, 64(7), 737-744. Reardon, J., Mikller, C. E., & Coe, B. (2011). Applied scale development: measurement of store image. 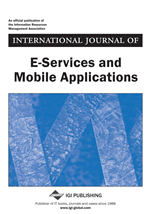 Journal of Applied Business Research, 11(4), 85-93. Tweet Really interesting video I recently came across which I simply had to share. Animals do show empathy, cooperation, fairness and reciprocity - pillars of the concept of morality.